Westerkirk Church is situated in the hamlet of Bentpath, 7 miles north-west of Langholm. 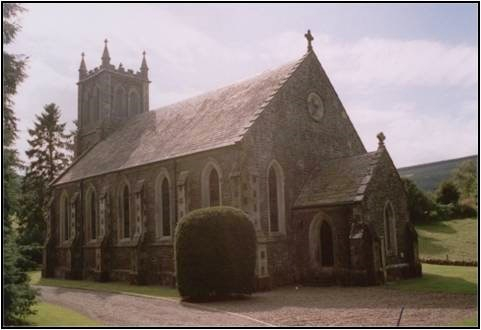 The church, built in 1880, is now run by a trust which was responsible for its recent restoration and the installation of twelve stained-glass windows depicting the flora and fauna of the valley. Services are held on the first Sunday of each month at 1.30pm ( except for July and August).